Valeri Belokon has called for new rules to protect football clubs from what he described as the “Oyston problem”. It comes after the Latvian businessman revealed he is unlikely to launch a takeover bid at Blackpool FC as scrutiny of the finances showed that as much as £27m had been moved from the club’s coffers into Oyston accounts or into companies owned by them. Speaking exclusively to The Gazette, club president Belokon called on the Football Association and Premier League to impose stricter controls on football club finances. Belokon said: “The Oyston and Blackpool problem isn’t just (unique to) Blackpool – it’s one for the whole of England. “If people don’t solve this sort of thing at the top level, it will be very difficult to do so at a local level. “If I work with finances, the government issues me with a licence and a set of rules I have to operate to because I work with people and their money. “I think maybe we have to set additional regulations for the football business in England. We have Financial Fair Play rules, so that owners have to be competent and money has to be clean. “But we need rules which say that when a football club has money, it cannot be used to support other businesses which have no relation to the football club. Maybe not a 100 per cent restriction but a certain limit. 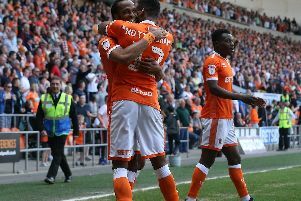 Blackpool profited to the tune of around £90m from their Premier League season of 2010-11. Apart from the £11m paid by the club to owner Owen Oyston, around £16m has been loaned to other Oyston-owned companies. The Oyston family insist that money has been invested for the good of the club and is available when needed. But Belokon believes legislation is needed to outlaw such movement of funds. “You have to make sure the money doesn’t go away from the club,” he said. “I think we need some regulations. “The ideal is clear – if the football federation has these rules, people will not be able to use clubs in this way. “I own a bank and the government sets very clear rules about how much I can loan to myself. It is much less than I can loan to my customers. It is almost two years since Belokon last visited Bloomfield Road. However, he still follows the club’s fortunes keenly. And although he is deeply concerned about Pool’s plight on the field, Belokon has decided to keep out of any debate about manager Lee Clark or his predecessor Jose Riga. The 54-year-old added: “It’s not right for me to talk about the abilities of the manager as he has such limited resources to alter the situation.